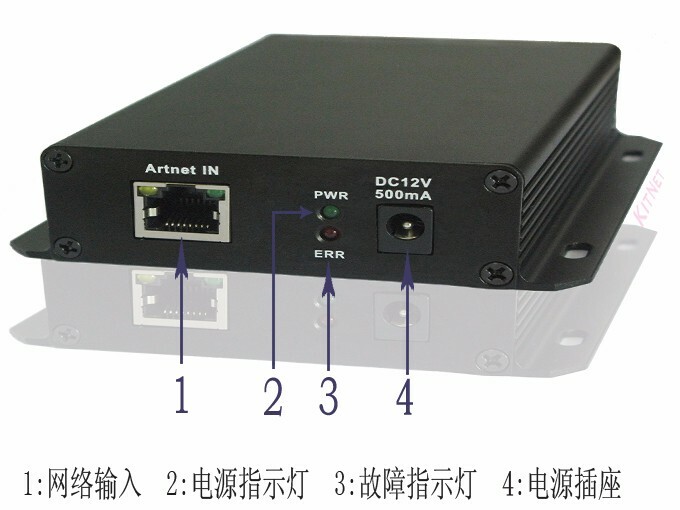 Net-600 is an Ethernet-based network drive ArtNet protocol. 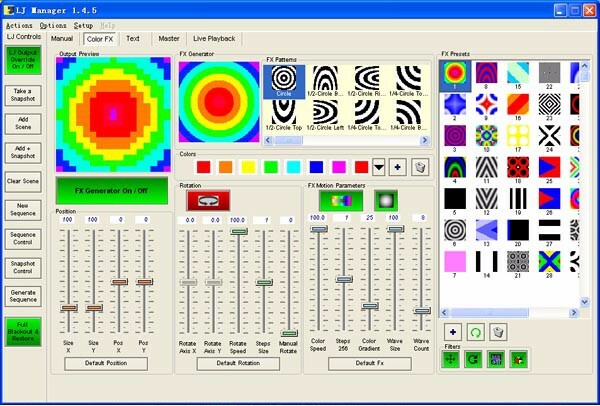 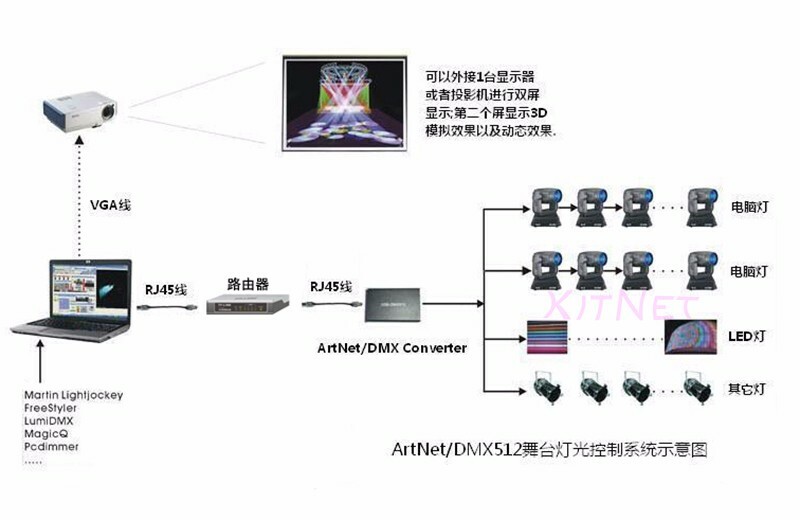 It will ArtNet network protocol network packets into standard DMX512 data. 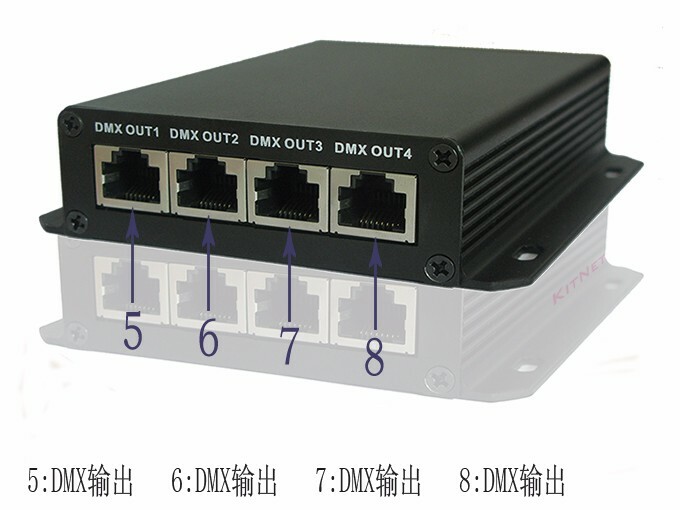 Net-600 There are four standard DMX512 data output port can output a total of 2048 (512 X 4) data. 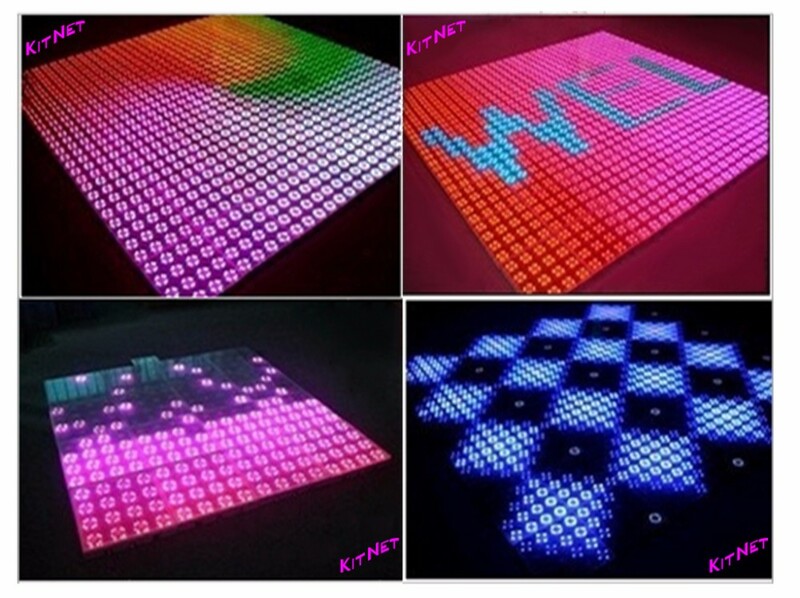 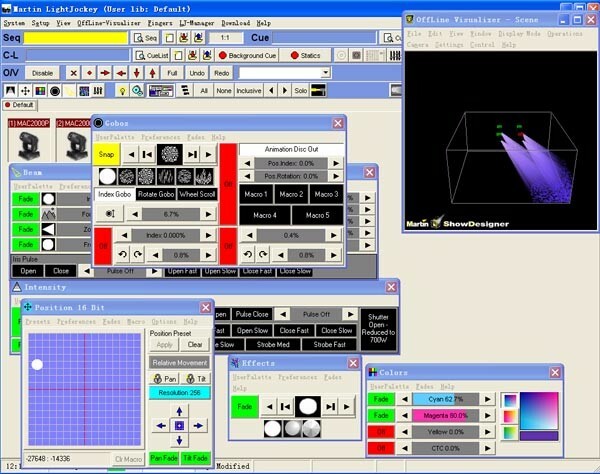 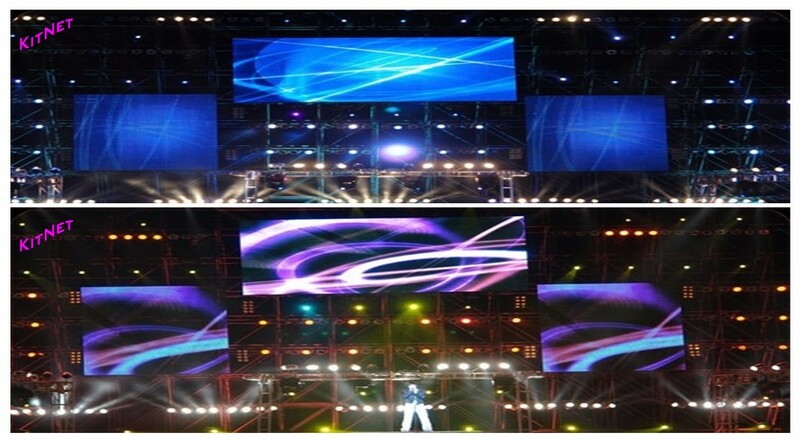 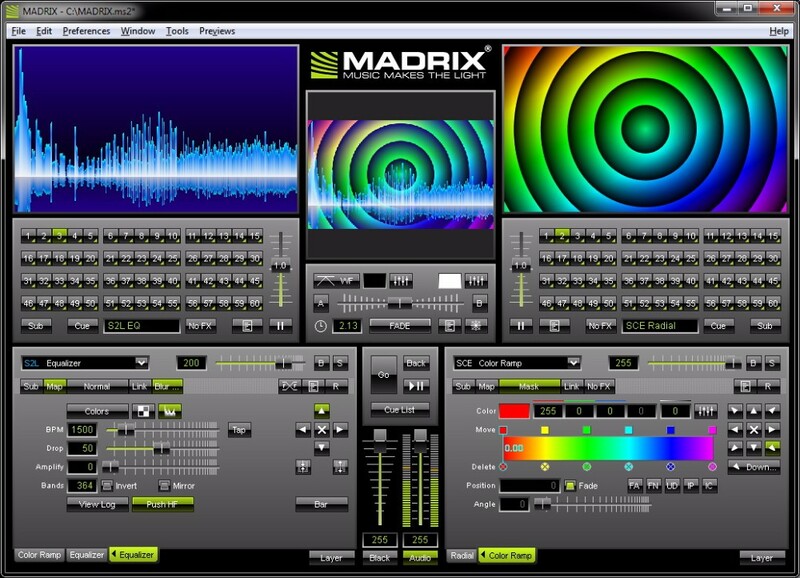 Widely used in stage lighting and LED dot matrix requires a large amount of data DMX512 control network.